Sometimes you want something fresh and crunchy to go with your meal. Sometimes you realize you need an extra dish to fill up the tummies. Or maybe you want to boost the protein in a vegetarian meal. Maybe you need something fast and simple. Kosambari fits the bill. Its basically an indian salad, but don’t think about iceberg lettuce and heavy creamy dressings. This is very light and healthy. If you thought you cannot eat raw legumes, think again. Soak the moong dal for at least 30 minutes- 1 hour. It should have not have a hard center. You can use hot water to speed the process (I think this is better in a cold climate). Shred the carrot. Prepare the other ingredients. Heat oil and pop the mustard seeds, then add green chilies and curry leaves and sizzle them. If you want you can add moong dal to this and stir for a minute. Or simply pour the seasoning over the dal, carrot. Add salt, lemon juice, and coriander leaves to taste. Traditionally, this would have grated coconut (as almost everything in Kannadiga cuisine does!) but I didn’t have any. Also you can add finely chopped peanuts/groundnuts. Instead of lemon juice, add a tiny bit of grated ginger. If you do not want the added oil, you can skip the tadka/oggarne (but still add the green chilies, raw). This is my entry to Hearth and Soul and Tasty Tuesday. Wash the dal and put into a pot with the water and the turmeric. Boil for 20-30 mins, stirring occasionally, and try to break up the dal. In a small pan, heat ghee or oil, when hot add the cumin seeds, then the curry leaves, then hing, then green chillies and red chilies if using. Stir around then add the onion (if using- and cook until they are soft,) Then only add the ginger and garlic, otherwise it will stick to the pan! Once the delicious scent of ginger-garlic wafts into the air, (just a few seconds) add the tomato. I’ve heard its better if you squish them with your hand before adding, but I don’t bother with that. Now add salt and chili powder. Always add salt after the tomato so that it draws out the water and softens the tomato.. ‘wink’. Cover for a few minutes, then mash the tomato fully. Once its cooked properly you will see oil at the edges of the mashed tomato mixture. Add to the dal and continue to boil for 5 minutes. Add the coriander leaves (cilantro) and lemon juice – if using. Only add lemon juice after you switch off the heat because sometimes lemon turns bitter when boiled. I’m full of tips today, lol. 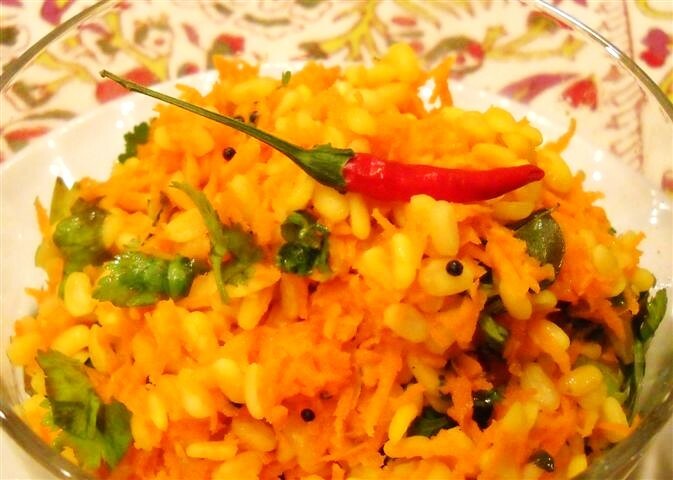 Serve this with rice or chapathi and a dry veggie side/subji/palya such as aloo gobi – coming soon! 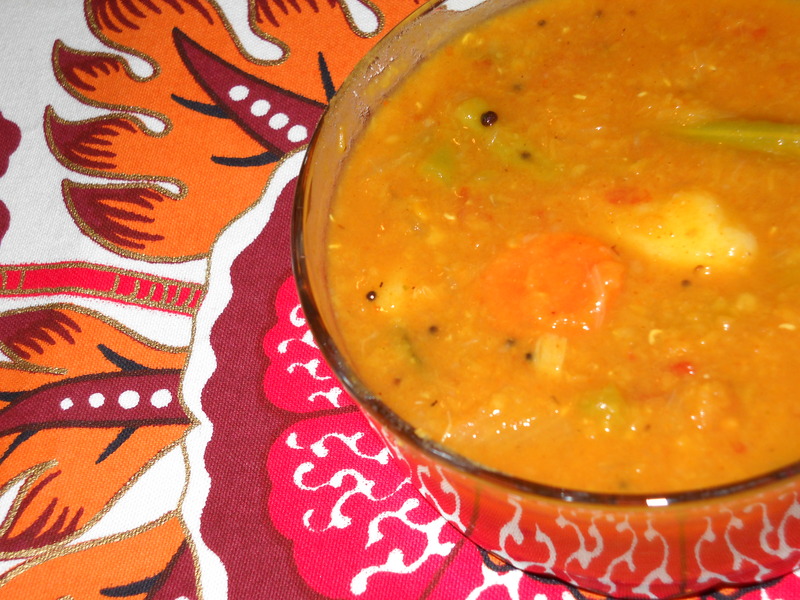 This is sort of a cheat sambhar. The cheat part is the dal. 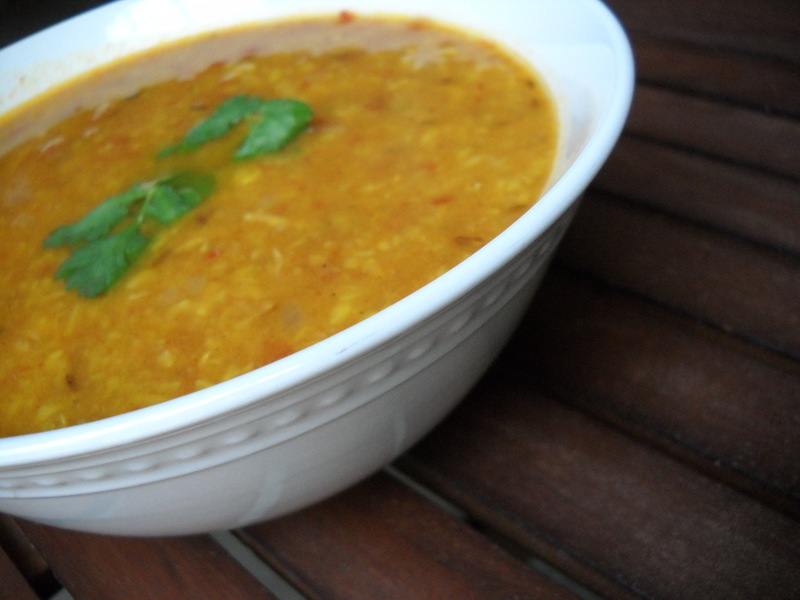 Toor dal is traditionally used, but it does take more time to cook. So today I have used masoor dal(*you could also use moong dal)000000. The flavor is a little different, but still tasty. 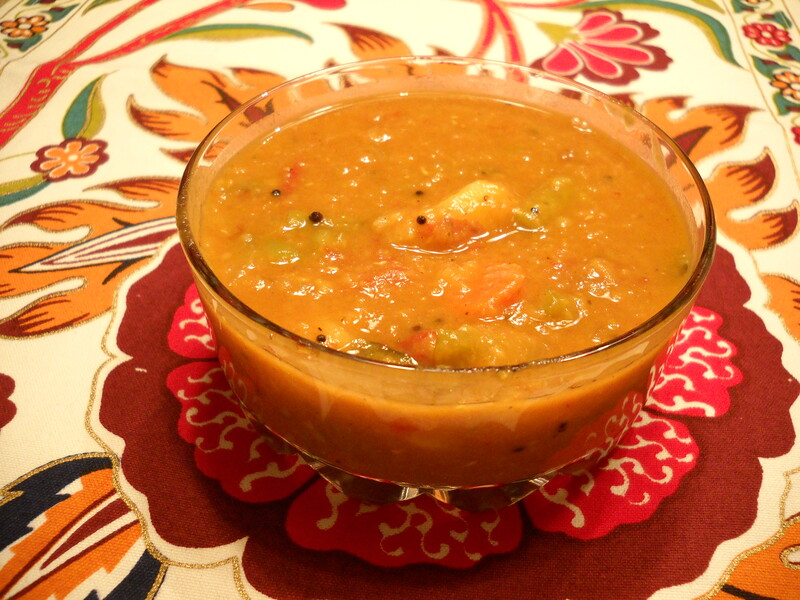 This particular sambhar goes especially well with idli, but also good with rice. This is enough for 2-3 people… you could make a bigger batch if you prefer. Wash the dal and add to the pressure cooker with water, turmeric, and the veggies up to and including onion. Pressure cook for 2 whistles. This can also be done in a regular pot for about 20 minutes since masoor dal cooks fairly quick. Once it whistles, remove the pan from the heat and wait for the pressure to release. In the meantime, heat a pan and add a couple teaspoons oil. I often use coconut oil for health reasons and I think the flavor goes well with Indian food. Add mustard seeds once the oil is hot and they should start popping almost immediately. Add a pinch of hing and the methi (fenugreek) seeds. Then add the chopped tomatoes and salt. Cover the pan for a few minutes and the tomato will become very soft. At this point, mash the tomatoes in the pan then add the masala powders. It will form a paste like consistency and you will see oil at the sides of the paste. That’s exactly what you want. Now, add the tomato mixture to the dal and bring it back to a boil. Squish and squeeze the tamarind pulp into the water and strain. Add to dal. You will probably need to add another cup or so of water at this point (I use the water to rinse out the tomato pan, so I don’t lose any of that yumminess). 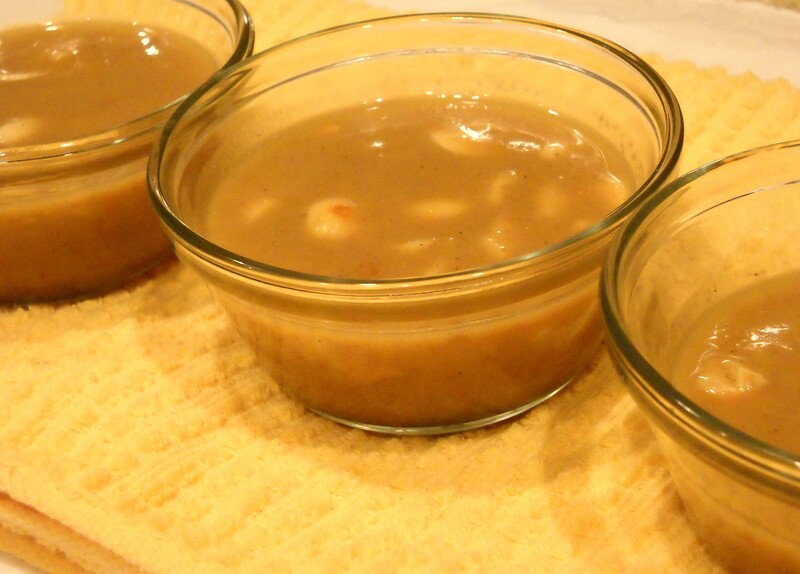 Boil the sambhar (more like a simmer) for about 10 minutes to cook the tamarind, then turn off the heat. Let it sit for some time so the flavors blend before serving (if you can wait!). Payasa/payasam is another name for kheer.. but here I have used only coconut milk not cow’s milk. Take out your trusty old pressure cooker. In it roast a TBS or two of cashews and raisins in ghee. Remove from the pan and keep aside. 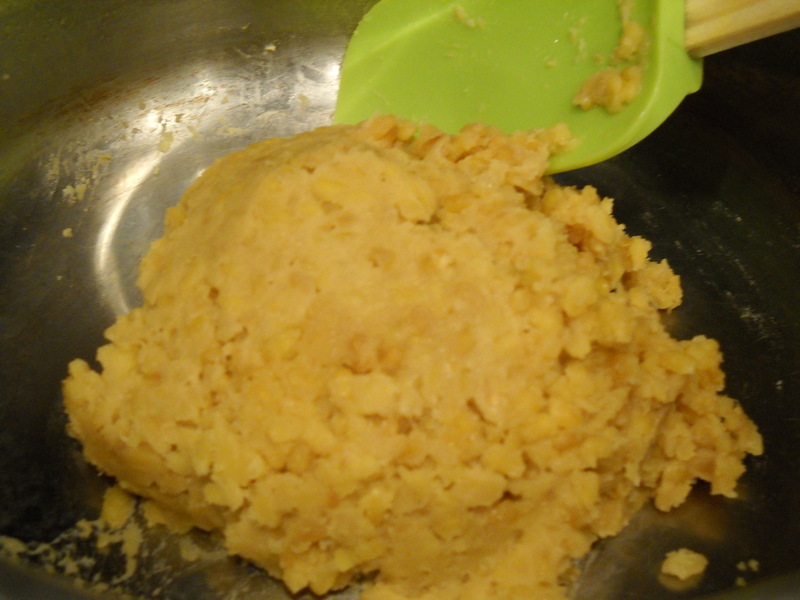 Also in the cooker add 1/2c split moong dal – roast in ghee until it smells good. Add 1.5c water and pressure cook 2-3 whistles. 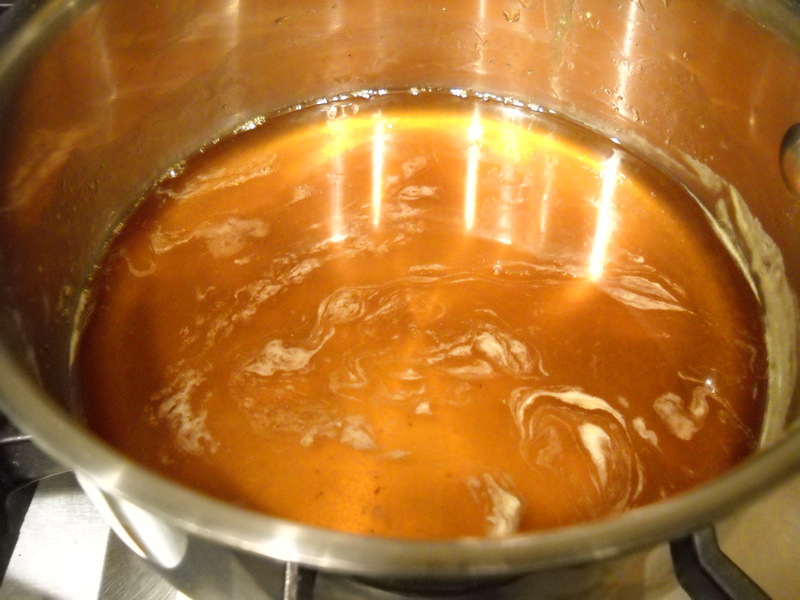 While that is cooking, Boil 1/2c jaggery in 1/2c water till melted. Remove the foam, and strain if necessary. Bring back to a boil for a few minutes till the flavors combine and it slightly thickens. 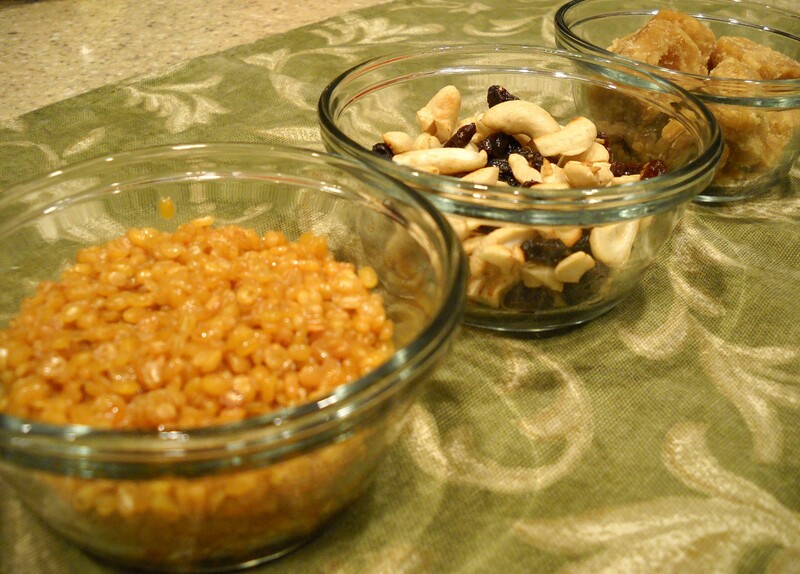 Stir in the dried fruits and nuts.